BMW ORACLE Racing Design Team member Scott Ferguson is a man nearly seeing double these days. 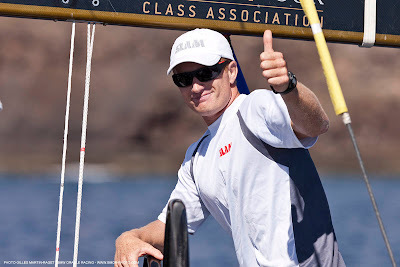 Ferguson has been head down on the computer, part of the group helping develop the wingsail for the new AC45 catamaran. 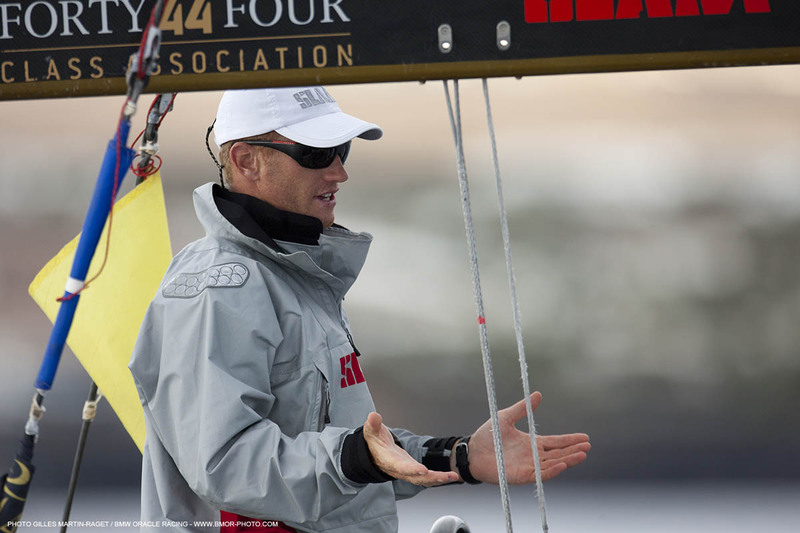 Ferguson recently was nominated for the November Seahorse Sailor of the Month for what he did in mid-September: the 49-year-old captured his second successive Laser Masters World Championship. 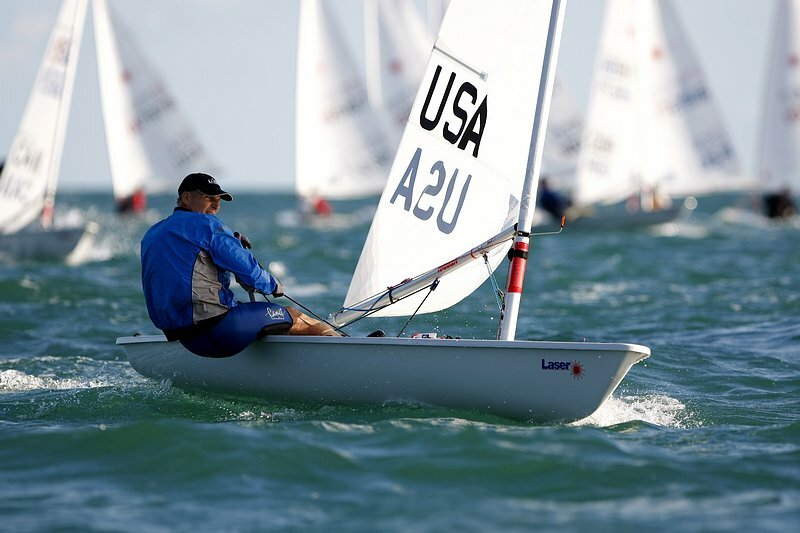 Check that, he dominated the regatta. He is the fourth BMW ORACLE Racing team member to gain nomination for Seahorse Sailor of the Month. 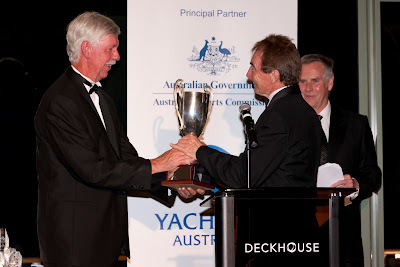 Team afterguard member Larry Ellison and boatbuilders Tim Smyth/Mark Turner have previously won the award, and sailing team coach Glenn Ashby has also been nominated. Ferguson won with the low score of 15 points on a scoreline of all top-three finishes: 3-1-1-1-3-2-1-2. 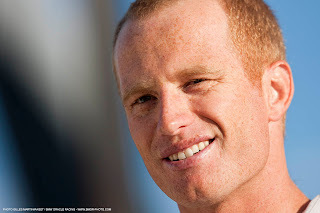 He discarded a 6th and final race DNC and won by 21 points over Dutchman Arnoud Hummel. 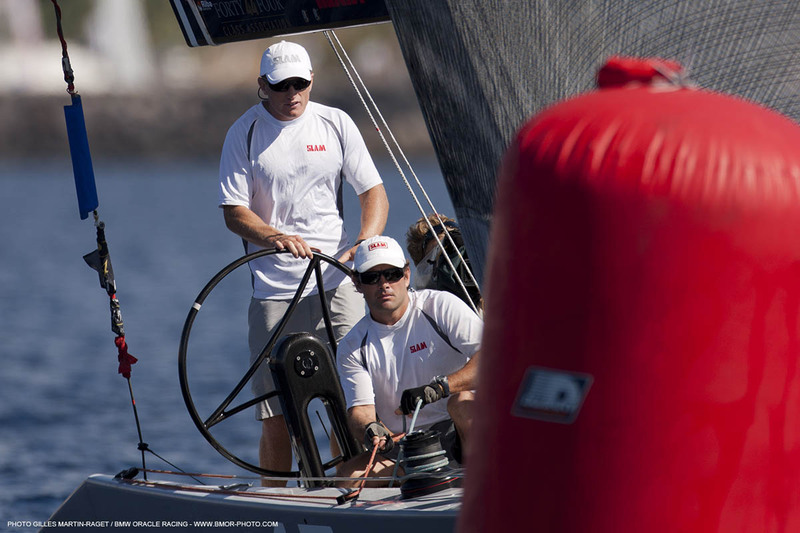 Ferguson won last year’s championship in Nova Scotia also over Hummel, who won the 2008 Laser Masters Worlds. 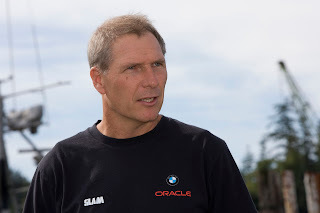 “Hummel started 1-1-1-2 and I thought he’d be tough. There are a lot of good sailors in that fleet.” Ferguson has also finished third and fourth in previous Laser masters worlds. 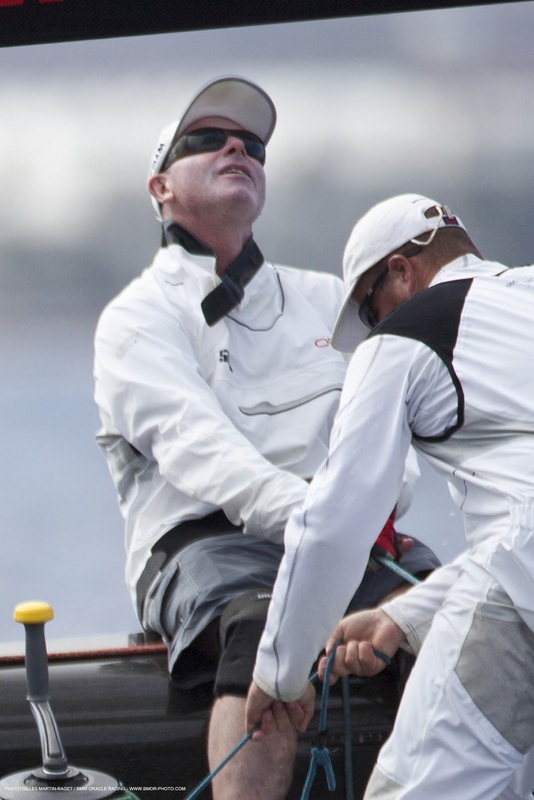 Ferguson, who races out of the Conanicut Yacht Club on Narragansett Bay in Rhode Island, said he felt comfortable sailing in the shifty conditions off Hayling in the U.K.
Ferguson is going up against long-time campaigner Piet Vroon of the Netherlands, whose Ker 46 Tonnere de Breskens 3 was recently named the RORC’s yacht of the year for 2010. The gala Yachting Australia awards ceremony last Friday at the Deckhouse in Sydney saw a cavalcade of nattily dressed yachtsmen, yachtswomen, family members and supporters of the sport. 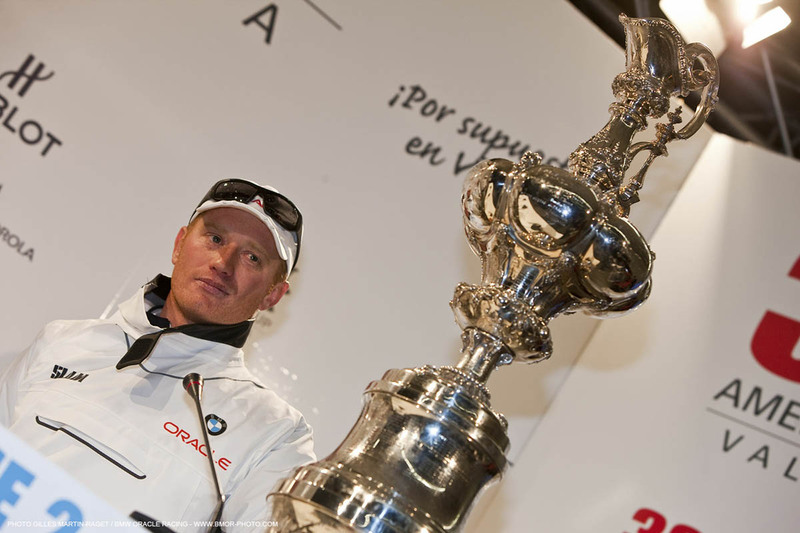 BMW ORACLE Racing team skipper James Spithill won the Male Sailor of the Year award, which was presented to his father Arthur (above) because James was enjoying great success at the RC 44 World Championship in Lanzarote, Canary Islands. The RC 44 World Championship was a rousing success. 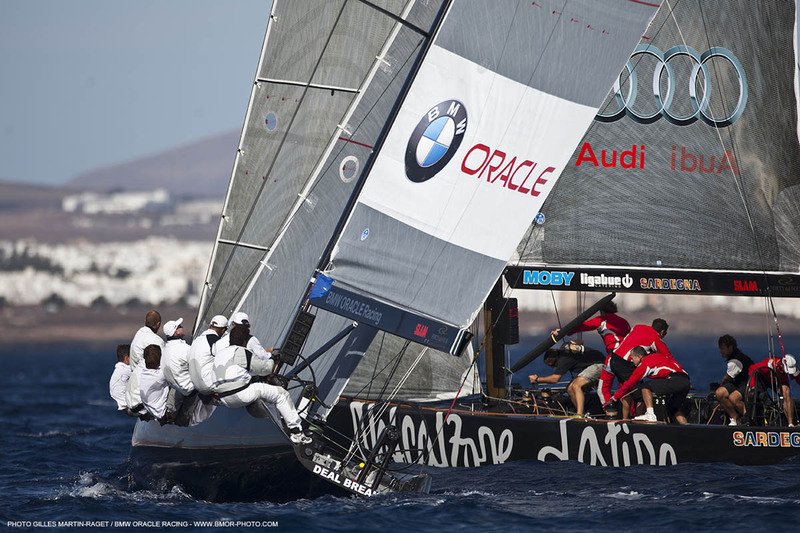 Team skipper James Spithill and the crew of 17 won overall honors, while CEO Russell Coutts placed second with BMW ORACLE Racing. This video recaps the week that was. 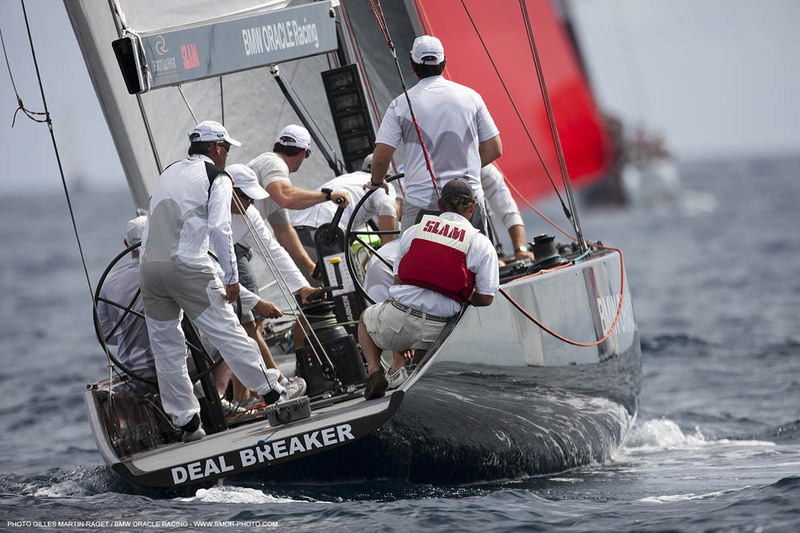 It took a visit to an island in the Atlantic Ocean for Jimmy Spithill to shake the monkey that’s been dogging him since February. But he did it in style. 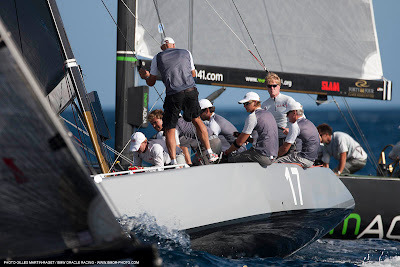 Spithill and the crew of the yacht 17, including guest helmsman Anders Myralf, wrapped up the RC 44 World Championship today by placing second in the fleet racing portion of the event. 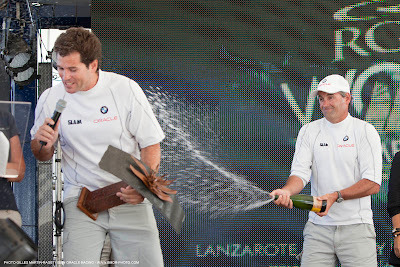 Coupled with their first in the match racing, 17 won the overall title by 1 point from BMW ORACLE Racing, led by Russell Coutts and guest helmsman Jose Juan Calero. 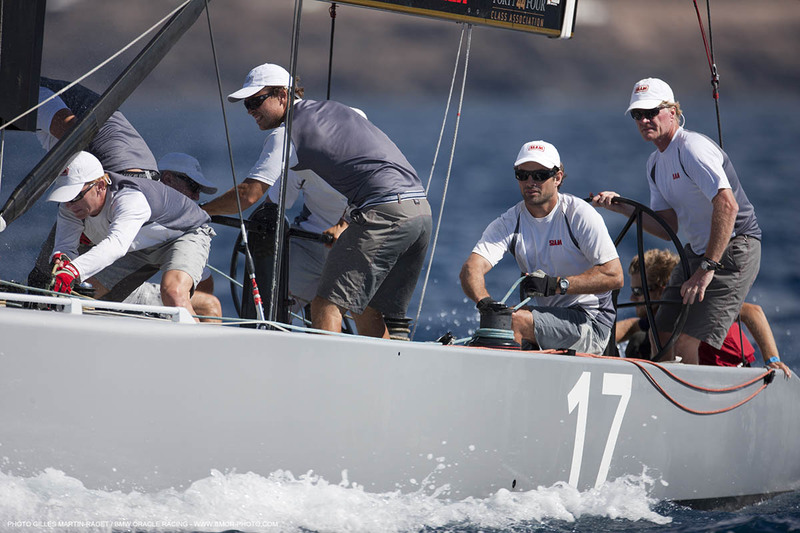 After entering the final day of fleet racing with the overall lead, 17 almost threw it all away. 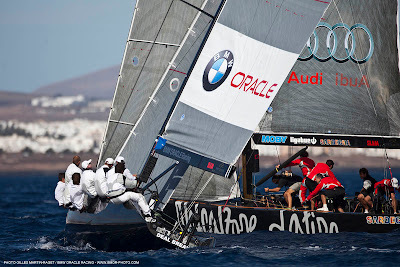 The crew was OCS in the first race and then had to do penalty turns in the next two. 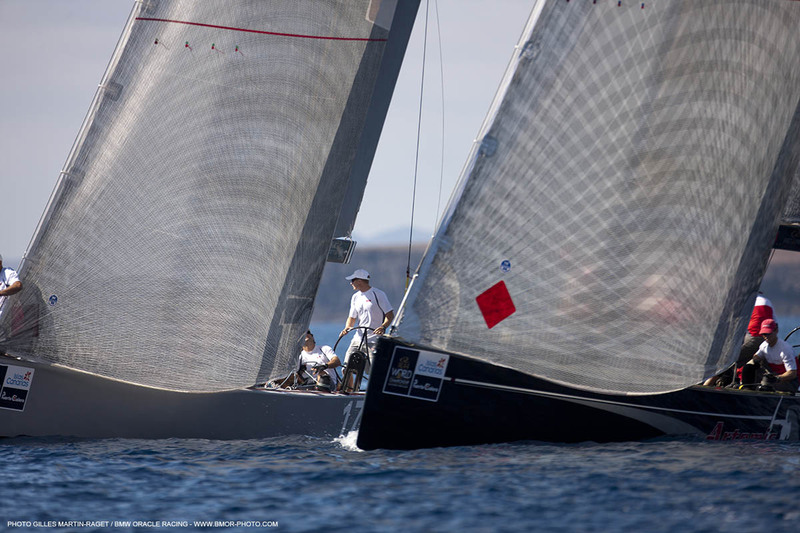 But a 7th in the final race, which featured a port-starboard altercation with Coutts and crew, was enough to wrap up the week. 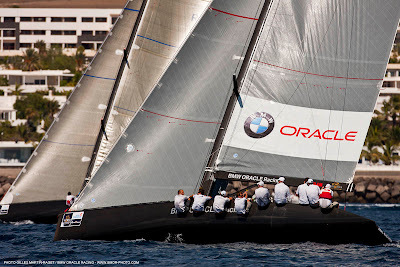 “Congrats to the BMW ORACLE Racing boys for taking first, but it feels great to take the overall championship,” said Spithill. 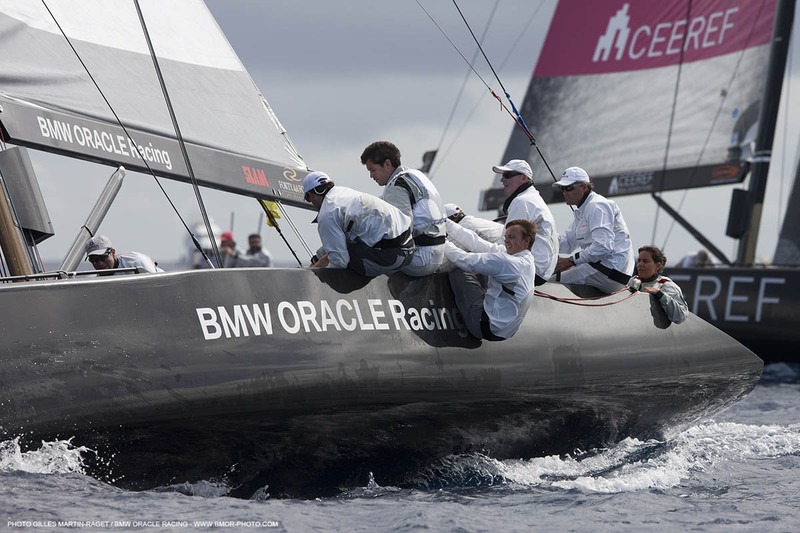 Coutts, Calero and BMW ORACLE Racing won the fleet racing with the score of 49 points, 5 points ahead of 17. 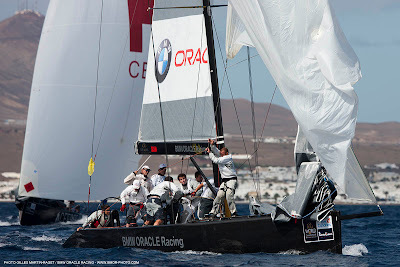 They were tied with No Way Back for the fleet lead going into the final race, but BMW ORACLE Racing worked the left side of the first beat to round in second, all but sealing the win. 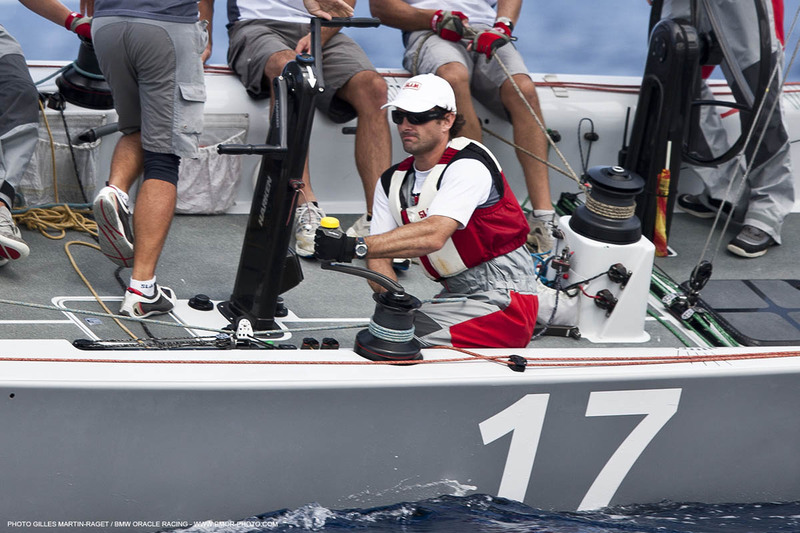 Guest helmsman Calero said the week was a dream come true and that he was honored to be asked to helm in place of Larry Ellison. 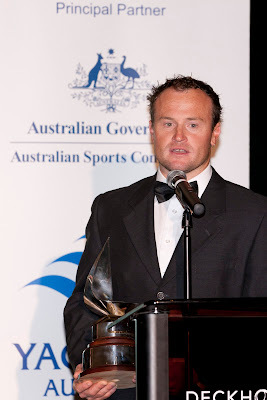 He summed up the week more succinctly at the awards ceremony. Russell Coutts, Jose Juan Calero and the BMW ORACLE Racing crew today were knocked from the top perch at the RC 44 Fleet Racing World Championship by none other than Jimmy Spithill, Anders Myralf and the crew of 17. The crew of 17 posted the low score on the day, 13 points on finishes of 1-7-3-2, and leads the regatta by 4 points over BMW ORACLE Racing. 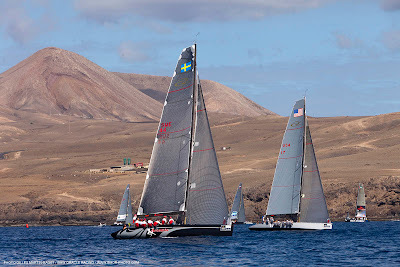 Stronger winds up to 16 knots returned to the racecourse today and brought about lively action on the waters off Lanzarote after three days of very light winds. “Suddenly the seabreeze came in. 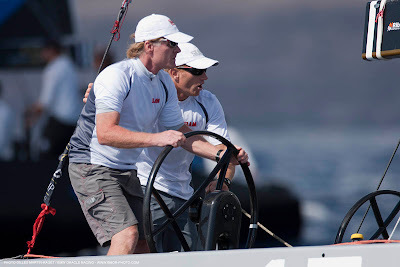 Although it was quite hard to find right lanes, Jimmy and crew did a fantastic job finding those lanes,” said Myralf, the Dane who races Farr 40s with the Prince of Denmark. “We had a good day. We had one race where we were unlucky with a seventh. 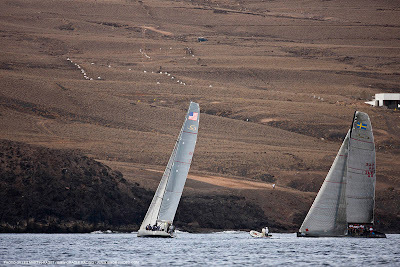 We were leading that race at the first mark, but it only shows how close this racing is. It’s so close. 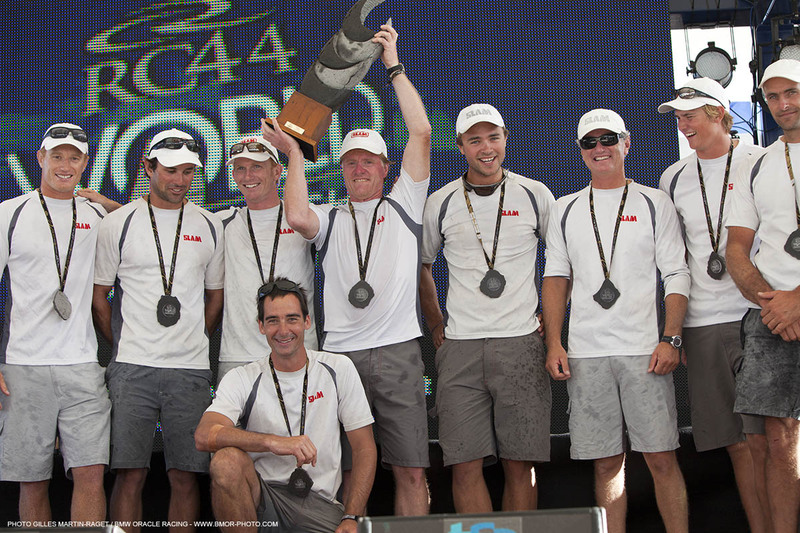 Earlier this week 17 won the RC 44 Match Racing World Championship. And while it holds the top spot, BMW ORACLE Racing’s fall was more due to extenuating circumstances. 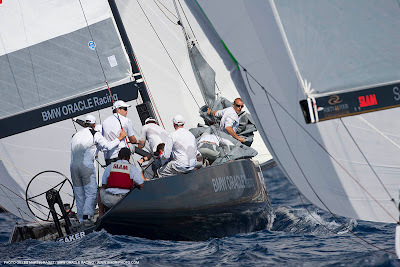 In Race 6 BMW ORACLE Racing, on port tack, went to dip Artemis when the Swedish yacht tacked unexpectedly. In making the maneuver the port corner of Artemis’ stern scoop was caught by the bow of BMW ORACLE Racing. Artemis was docked 2 points by the on-water umpires for the infraction. 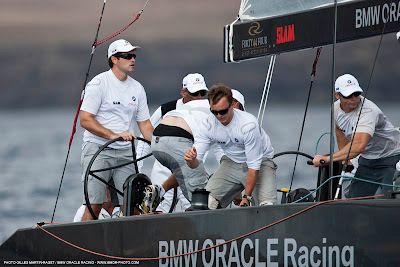 Although BMW ORACLE Racing finished the race in fourth, the crew was busy fixing the bow in between races and ran out of time before the next start to run the tapes of the spinnaker. 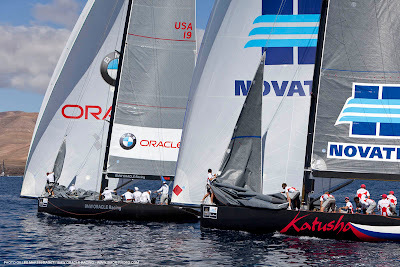 When they went to set the sail at the first windward mark it was a tangled mess and they had to sail the first run without a spinnaker. That dropped BMW ORACLE Racing into 11th place, and they wouldn’t recover. 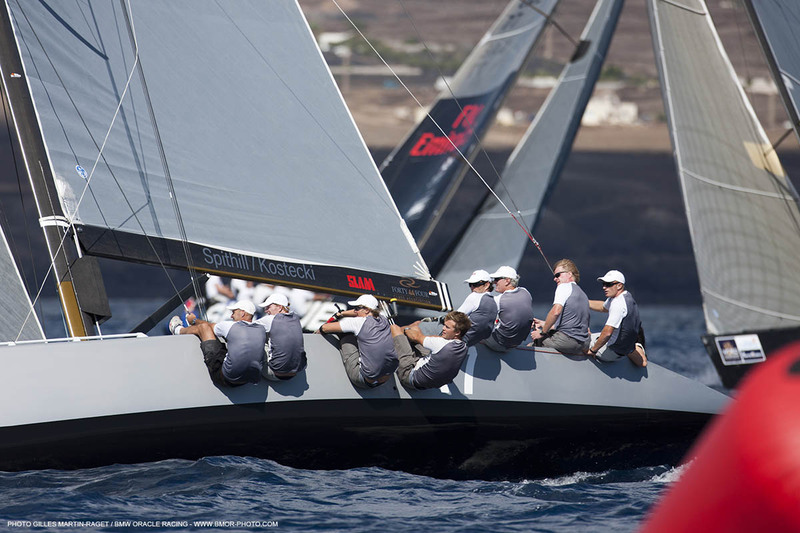 Despite the high points total, they only dropped to second in the standings, a testament to how consistently well they’ve raced the fleet racing portion of this world championship regatta. BMW ORACLE Racing skipper Jimmy Spithill reflects on winning the RC 44 Match Racing World Championship. 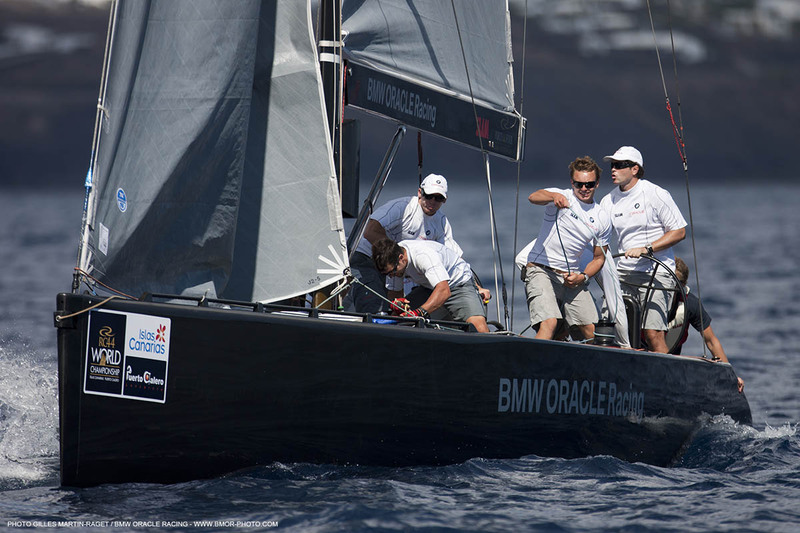 After strong showings in the RC 44 Match Racing World Champoinship, BMW ORACLE Racing team sailors are off to a solid start in the fleet racing portion of the regatta. BMW ORACLE Racing, featuring team CEO Russell Coutts as tactician, holds first after three races with the low score of 9 points on finishes of 2-5-2. The yacht 17, with Jimmy Spithill as tactician, is second with 15 points with a 3-11-1. 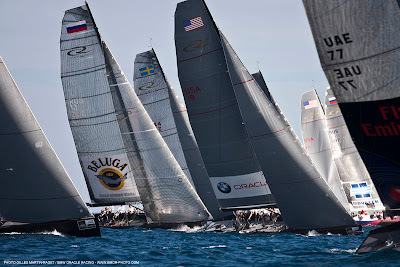 The fleet racing differs from the match racing in that amateurs are at the helm. 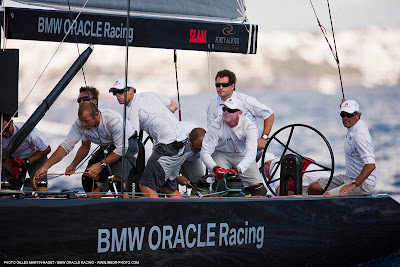 In the case of BMW ORACLE Racing local sailor Jose Juan Calero (helm, above) is guiding BMW ORACLE Racing while Anders Myralf (helm, below) of Denmark is back for his third stint at the helm of 17. 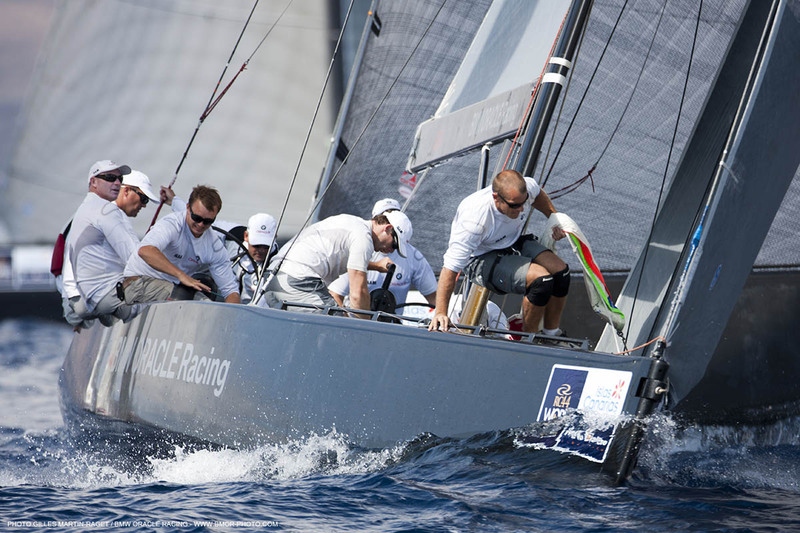 Myralf said he was happy with the first and third races, but not the middle one when they placed 11th. 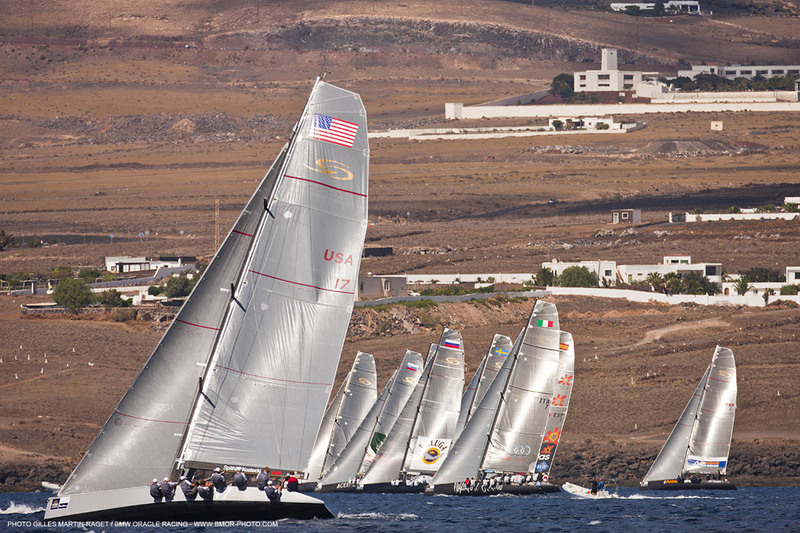 “We just need to sail odd-numbered races,” he quipped. It feels fantastic. We had some good preparation beforehand with our coach, Philippe Presti, and our teammates on BMW ORACLE Racing. 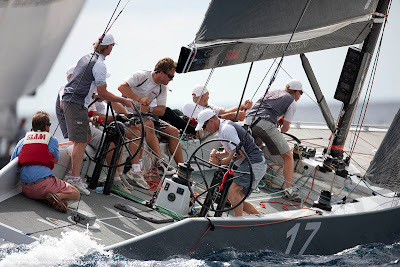 As a team we’re sailing a lot better than when we first entered the class this year. 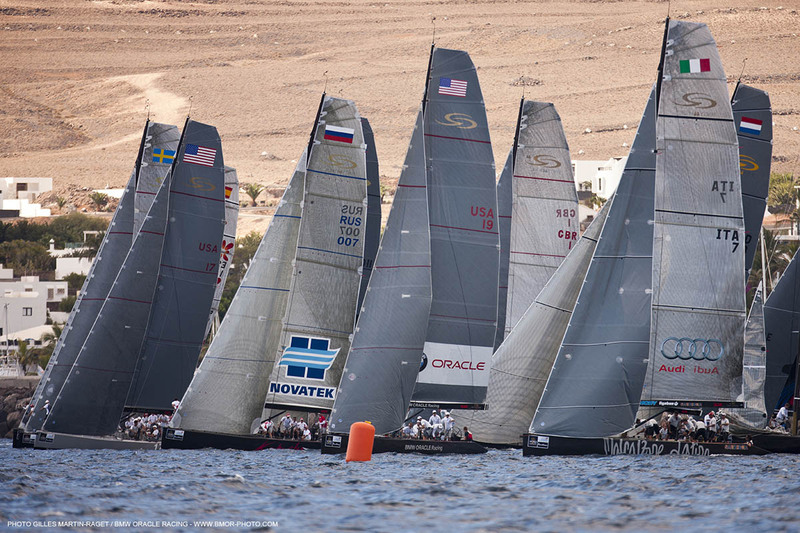 It’s very satisfying; we had some tough conditions and some top competition. We changed our J2, which we think is a big improvement. 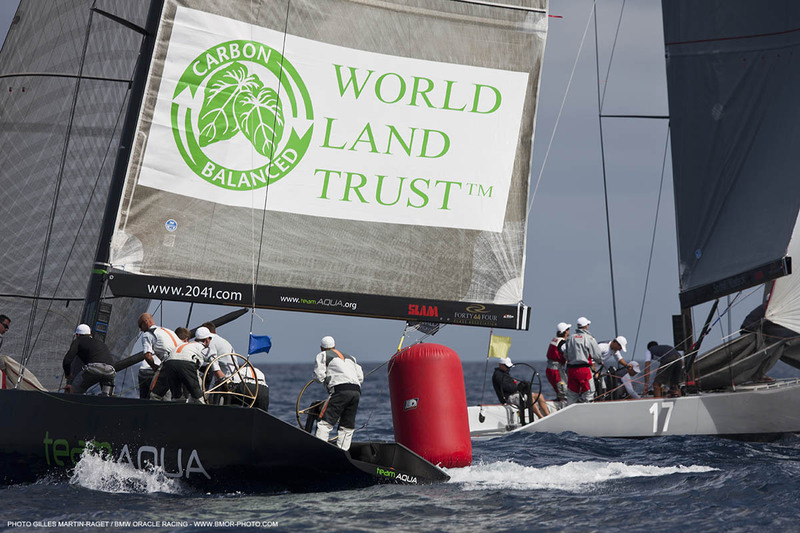 We’ve also incorporated some new crew. 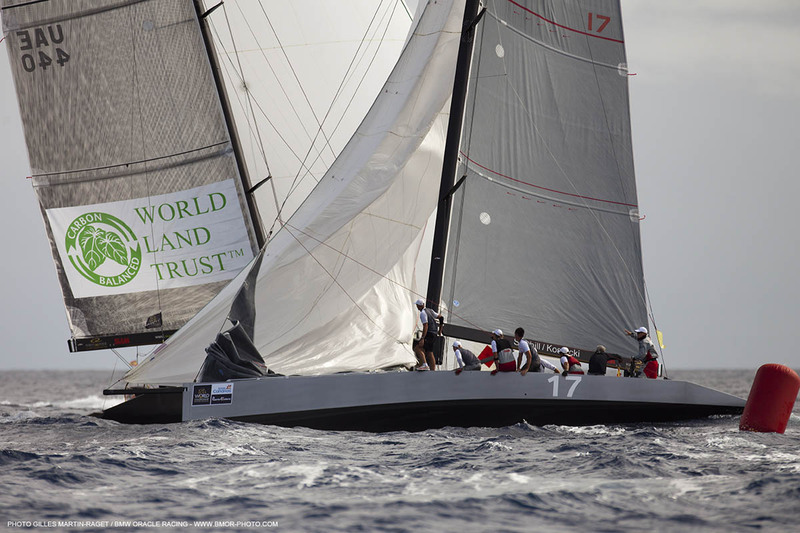 We have Piet van Nieuwenhuyzen on the bow in place of Brad Webb, who did a fantastic job, but piet is new for the event. Kyle Langford, who sails with us and Torvar Mirsky, has been more involved in the tactics, which has helped out. That allows Skip Baxter and I to work on boatspeed and tactics. All in all, it was just a solid effort from everyone. 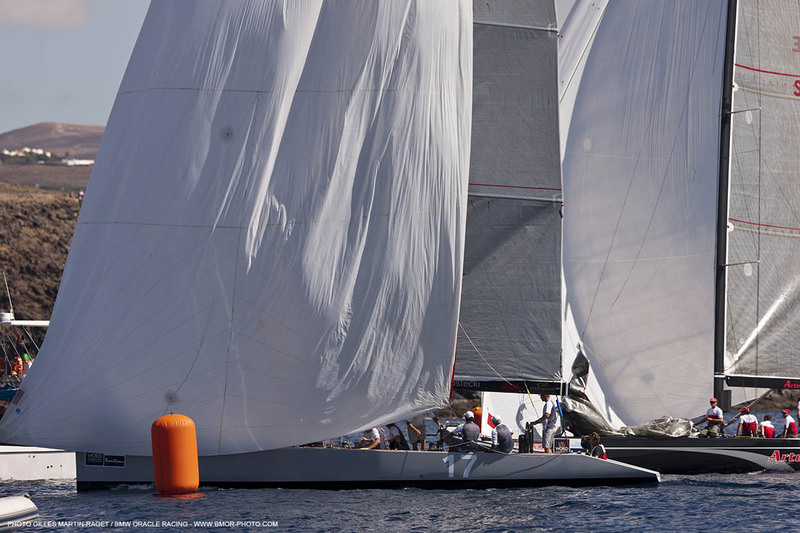 It was a close finish. We wanted the right-hand side at the start. We got it and unfortunately he crossed out to left. The key in the last few days has been damage control; try and hang in there and when the opportunity comes try and jump on it. I’m really pleased with how boys went. BMW ORACLE Racing skipper Jimmy Spithill and the crew of 17 – Skip Baxter, Jonas Hviid-Nielsen, Kyle Langford, Joey Newton, Bryce Ruthenberg, Piet van Nieuwenhuyzen and Matt von Bibra – have captured the gold medal in the match racing portion of the RC 44 World Championship for the Islas Canarias Puerto Calero Cup. It is the first match racing victory for Spithill on the RC 44 circuit this year. 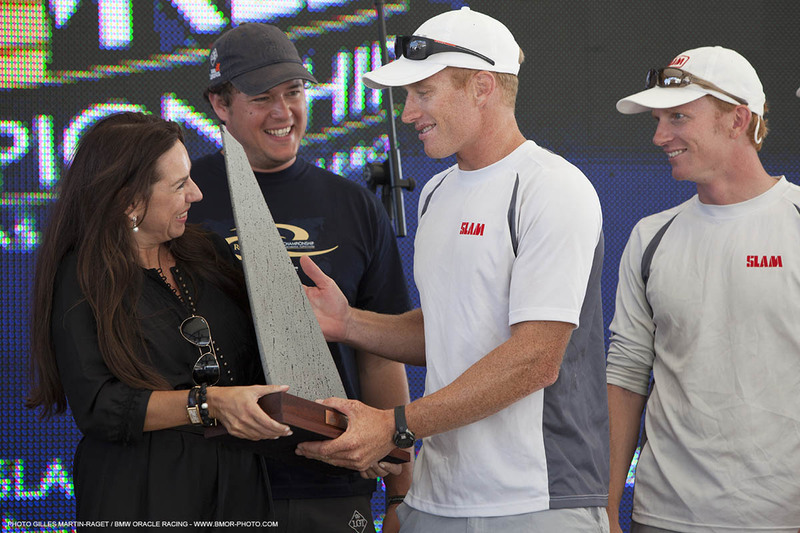 Previously in 2005, Spithill won the ISAF World Match Racing Championship. 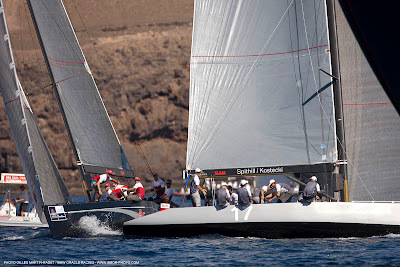 Spithill and 17 began their march towards the championship yesterday when they won the first race of the final against Terry Hutchinson and the Artemis crew in a light-air race. They completed the job today in continuing light winds by winning the second race on the finish line for a 2-0 victory. 17 trailed for a good portion of the race, but approaching the finish line 17 held the starboard-tack advantage and soaked low to poke its bow across 1 second before Artemis. 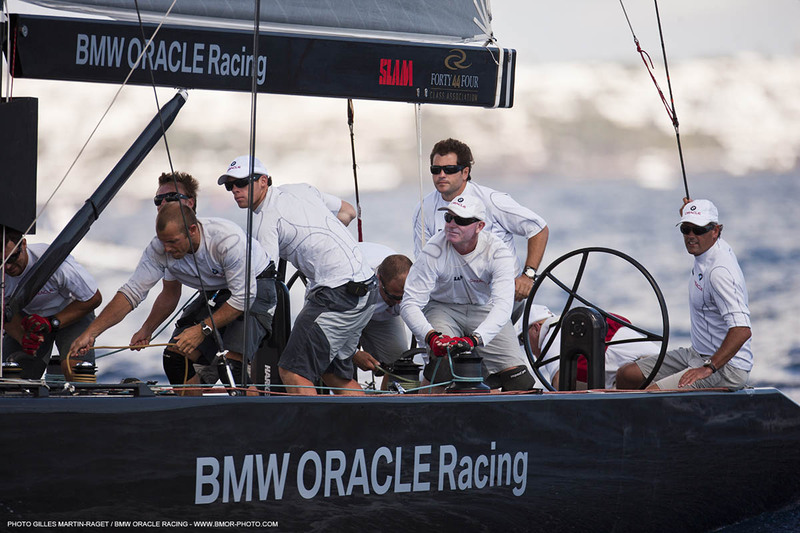 The team’s second entry at the world championship, BMW ORACLE Racing led by Russell Coutts, won the bronze medal. 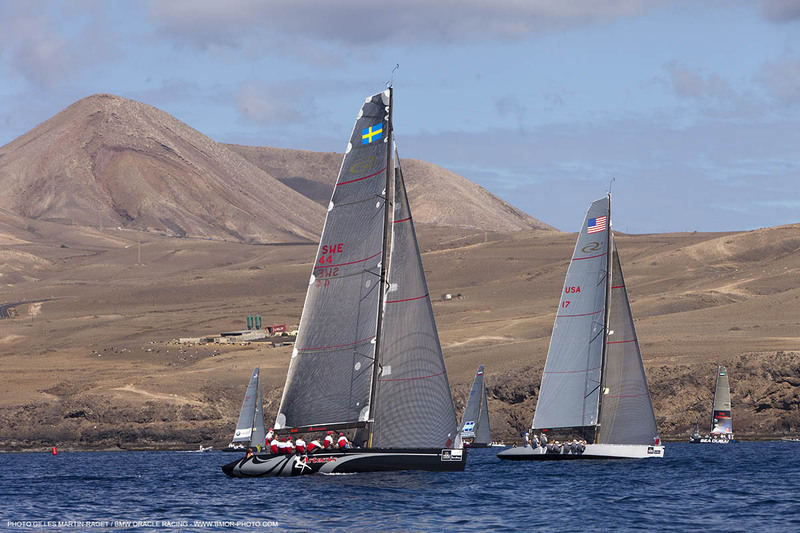 Coutts and crew – Juan Jose Calero, Dirk de Ridder, Ryan Godfrey, Ross Halcrow, Colin Orsini, Revelin Minihane and Chris Schirmer – also scored a 2-0 victory with a win over Paul Cayard and Katusha. 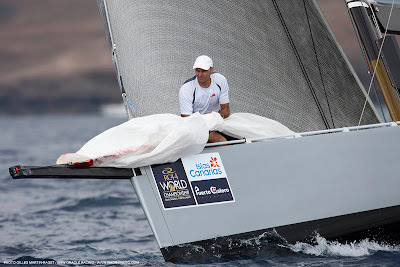 Coutts has previously won the ISAF World Match Racing Championship three times (1992, 93, 96). 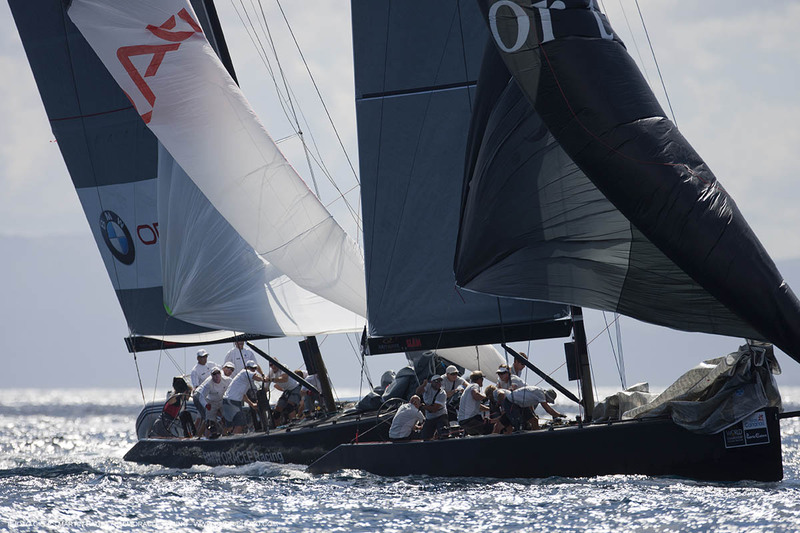 Racing at the second day of the RC 44 Worlds was thrown into chaos due to light winds that were non-existent for most of the day. 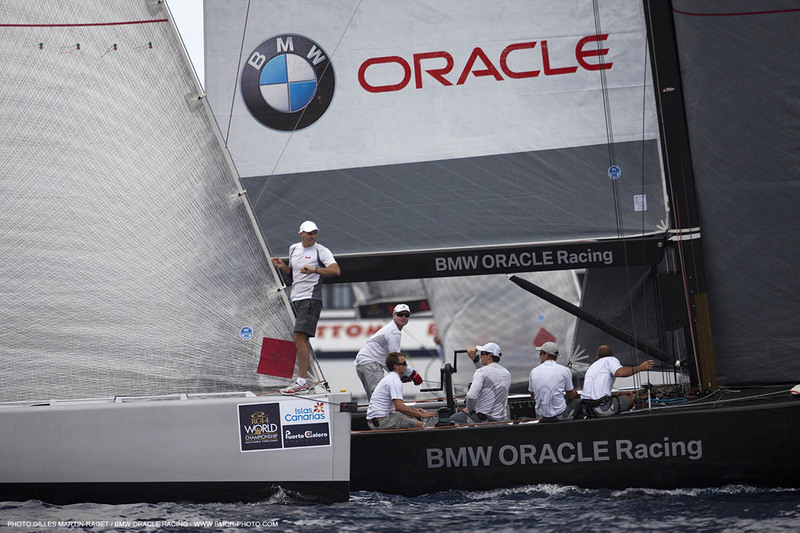 Of the two races sailed, however, one featured BMW ORACLE Racing’s two crews squaring off in a head-to-head match. 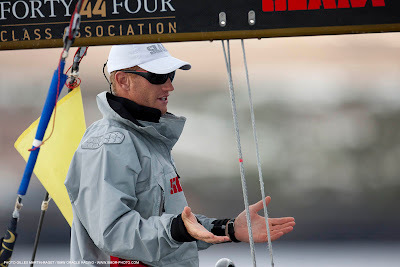 Skipper Jimmy Spithill exacted a measure of revenge on CEO Russell Coutts when he guided 17 to a victory over BMW ORACLE Racing. At the previous RC 44 event in Valencia in July it was Coutts who mastered Spithill. 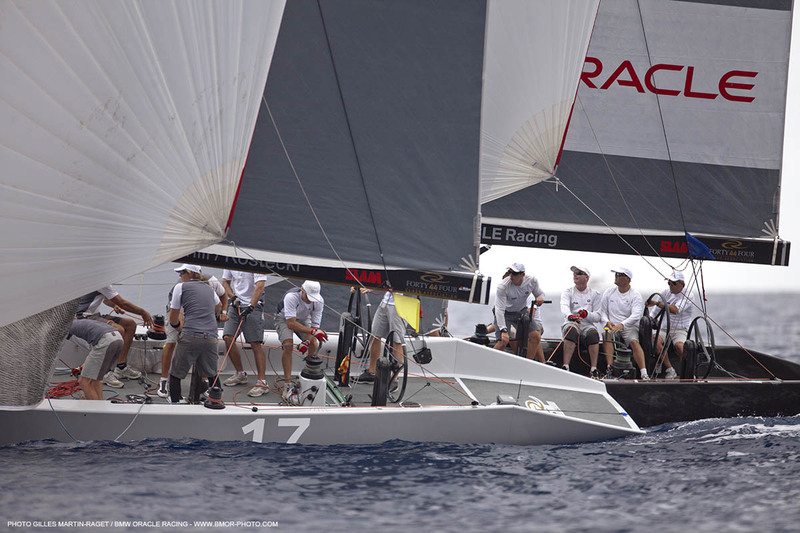 Today, both crews fought for the right side of the racecourse off the start line, but it was 17 that got the favored side. 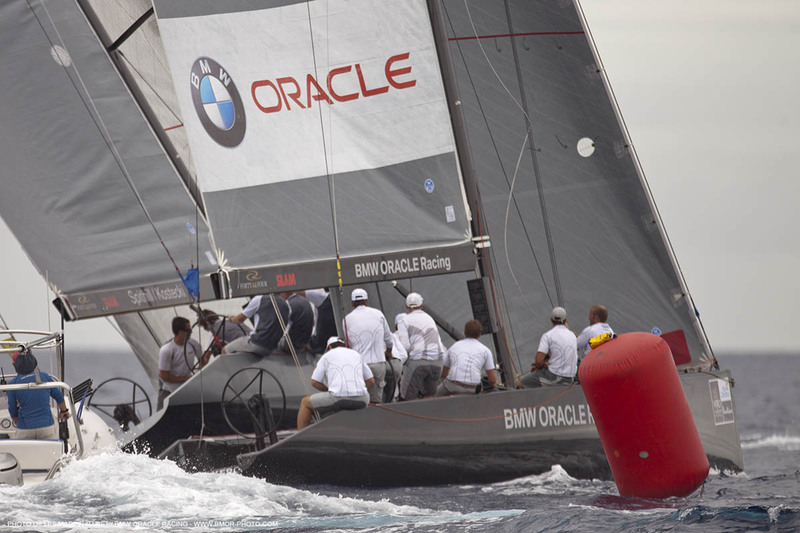 On the right was a shift that 17 tacked into, and lifted away from BMW ORACLE Racing. Coutts and crew kept it close at the leeward gate, rounding inside and tacking away to the right to clear air, but Spithill and 17 were able to maintain their cover and win the match. It was an important win as Spithill and crew solidified the top spot on the leaderboard in the abbreviated format. 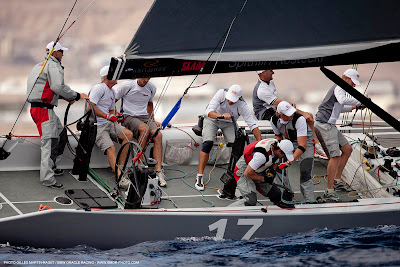 Spithill and 17 advanced to race Artemis in the championship for the match racing. 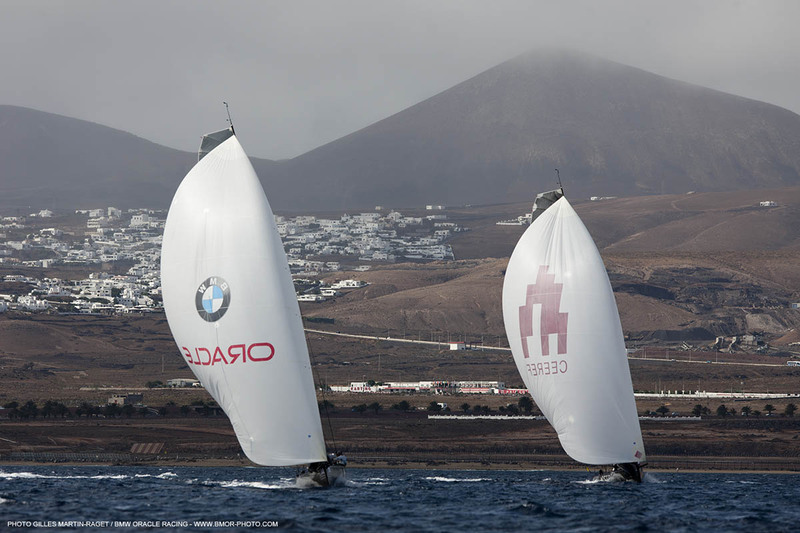 They took a 1-0 lead this afternoon in light and streaky winds. Monday’s racing at the RC 44 World Championship saw varied results for BMW ORACLE Racing. 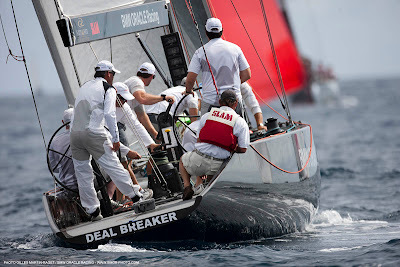 Jimmy Spithill and the crew on 17 led their group with a 5-1 mark, while Russell Coutts and the BMW ORACE Racing crew finished tied for first with three others at 3-2. According to crewmembers, Spithill was on fire in the pre-starts, which allowed 17 to get off the line with leads they could defend. 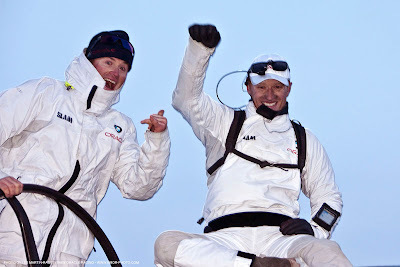 Coutts and his crew, however, suffered through hard wind shifts and uncharacteristic breakdowns that hampered their record. We had a pretty good day. 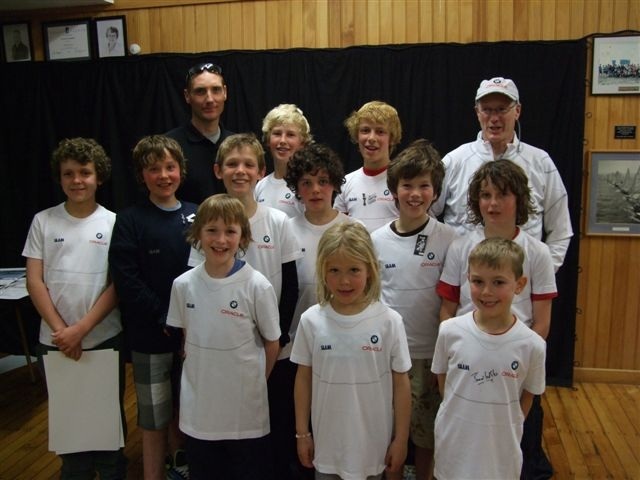 We lost one race to Cam Appleton (Team Aqua), but it was a close race all the way around. 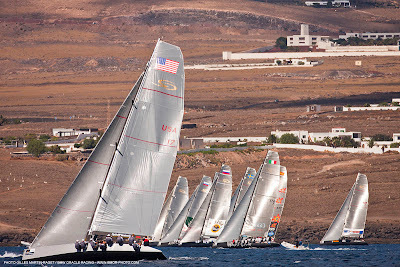 It’s tough to lose those races, but it was a good race. So we’re pretty happy. Our race against Terry Hutchinson and Artemis ended up not being too close a race, fortunately for us. Jimmy did a real nice job in the pre-start and we cleared out a few boatlengths and just stayed there. It was nice for a change. Usually we end up back-strapping. Jimmy was starting well. 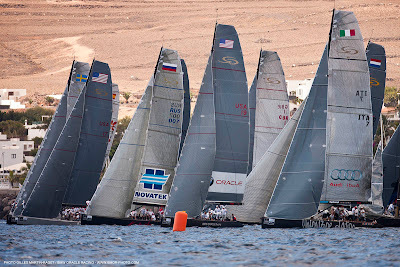 We had a few races where we were in front at the start with a penalty and well in front, so that makes it easy on the rest of the guys when you come off the line like that. 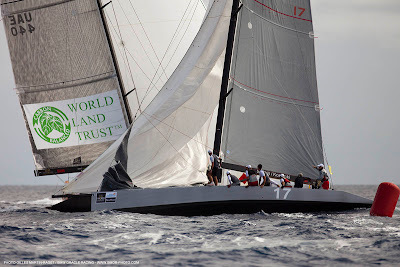 The conditions were challenging, it’s always challenging in offshore breeze. 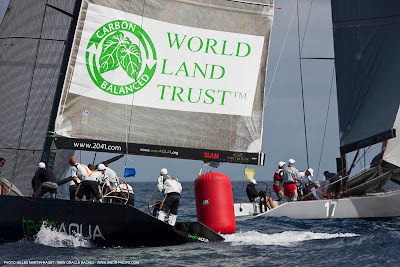 We expected heaps of breeze today and it turned out pretty nice at 12 to 16 knots, which is perfect. We were a bit up and down, had a few problems. We lost a couple races we shouldn’t have. In the race with the Austrians, AEZ RC 44 Racing, they had a good lead on us, then we overtook them and had a good lead and then they got a shift and overtook us. They came around the mark got a bit of pressure and rolled over us to the finish. The last 2 or 3 races we sailed w/the smaller jib because we stripped the halyard cover and the hanks off the J2. 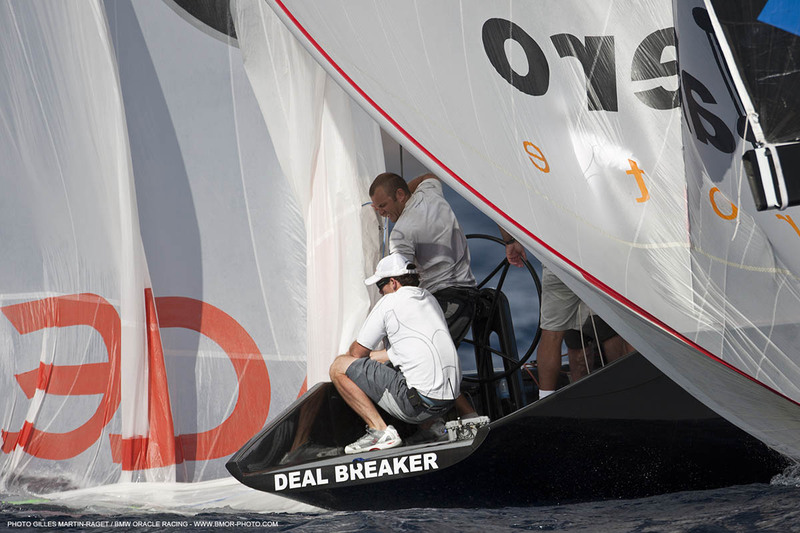 So it was unfortunate we couldn’t sail with that sail. 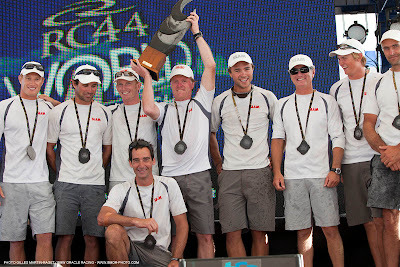 We sailed with the J3 and were happy to manage our way through to win those races. We didn’t have the best of days and were up and down so happy to get wins we’ve got. It was just one of those days, unfortunately.